Chinese premier Li Keqiang is to push controversial plans for a railway through the Amazon rainforest during a visit to South America next week, despite concerns about the possible impact on the environment and on indigenous tribes. The six-year plan is the latest in a series of ambitious Chinese infrastructure projects in Latin America, which also include a canal through Nicaragua and a railway across Colombia. 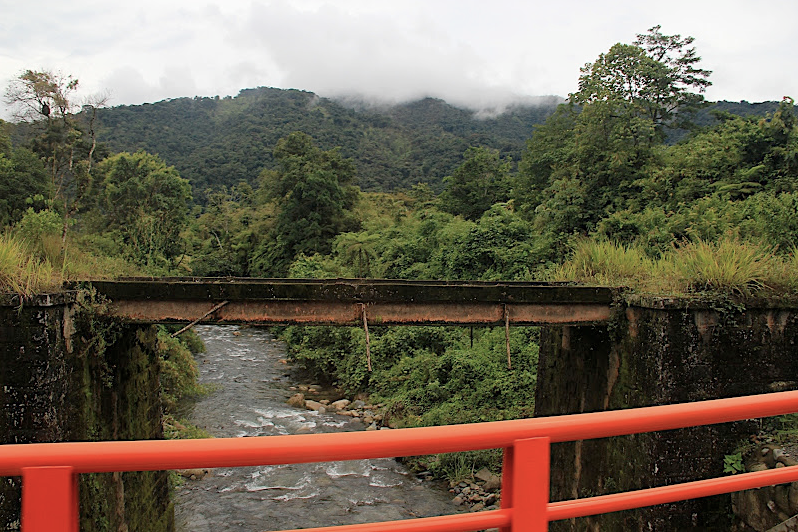 The trans-Amazonian railway has high-level backing. Last year, President Xi Jinping signed a memorandum on the project with his counterparts in Brazil and Peru. Next week, during his four-nation tour of the region starting on Sunday, Li will, according to state-run Chinese media, suggest a feasibility study. The criticisms are similar to those that met the Interoceanic Highway project along the same general route a decade ago. When I traveled that road in 2011, when it was mostly paved but still missing a couple final links, I found that the most of the predictions of doom had failed to come true, while there were some clear benefits from the road construction. However, the bad news may have been bubbling away, and I haven’t been back to see if things stayed so positive once the road was fully open. This entry was posted in Uncategorized and tagged brazil, china, highway, infrastructure, peru, railroad on May 20, 2015 by Steven Bodzin. 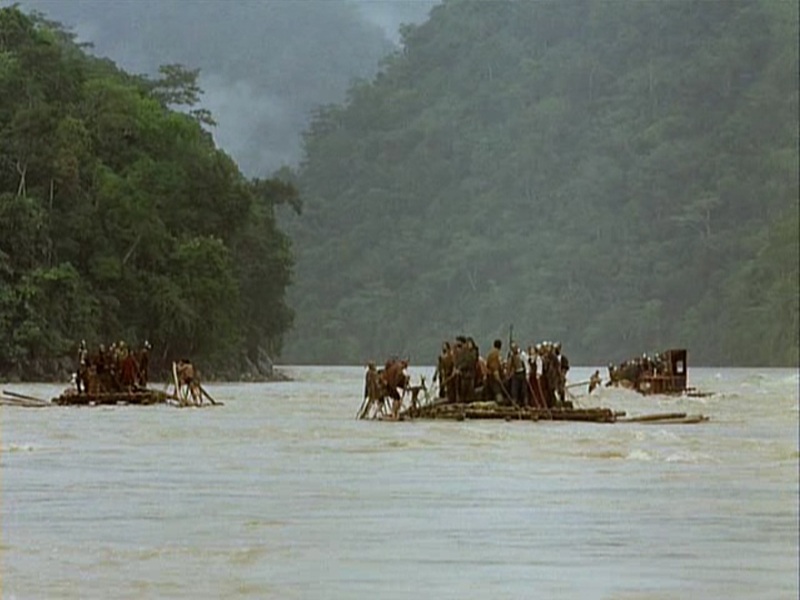 You can watch the film or you can read the legal brief, in which a modern-day Aguirre sues the king for sending him down a deathtrap Peruvian river. From US District Court for the Southern District of Texas comes the epic drama, “4:14-cv-02155,” starring one J Wilkerson and Petrobras America. 4.1 In February of 2013, Plaintiff was working as a mechanic at Defendant’s facility in Peru, where helicopters delivered supplies and materials in support of Defendant’s oil and gas exploration activities. 4.2 On or about February 13, 2013, when it came time for his work to end, and for Plaintiff to return to the United States, he was unable to depart via aircraft as planned, due to severe rainstorms. Consequently, Defendant provided a small aluminum boat and pilot to transport Plaintiff. The vessel was navigated through waters where there were visible trees rising out of the water, and presumably tree stumps hidden beneath the water. The vessel violently struck something in the water, which caused the vessel to flip, throwing Plaintiff into the water. Plaintiff lost consciousness, and sustained severe and disabling bodily injuries. 4.3 When he regained consciousness, Plaintiff was trapped in an air pocket under the boat. He swam out through a window, and up to the surface. He then began to float down the river. He spotted a small village and was able to make his way to the bank and up onto land. A small fishing boat, passing by, picked him up and took him to a village where he sat for hours, waiting for Defendant’s rescue boatto arrive. Defendant’s rescue boat transported Plaintiff back to Defendant’s work site from which he had departed in the aluminum boat. He was then transported by helicopter to Defendant’s main gas processing plant. From there, Plaintiff was transported by fixed wing aircraft to Lima, Peru, where he was taken by cab to a hotel. Plaintiff stayed at the hotel for roughly 6 hours, before flying by commercial airline back to the United States. Petrobras America, the named defendant, simply says it’s never owned or operated anything in Peru, so quit bothering the poor saps. Sorry but this story doesn’t have much in the way of a cathartic conclusion. The case is ongoing in Houston. This entry was posted in Uncategorized and tagged lawsuits, peru, petrobras, usa on September 17, 2014 by Steven Bodzin. El Comercio says the president of PetroPerú has to go answer questions before the legislature because his company spilled oil. The president of the board of Petro-Perú, Pedro Touzett Gianello, was called to answer questions about the oil spill in the Cuninico, district of Urarinas, in the Loreto region, according to an announcement from the Environmental, Ecological, and Andean, Amazonian and Afro-Peruvian People’s Commission in Congress. Not exactly a month in the slammer, but better than what we see with most state enterprises, or even private companies, when they pollute. So, good for Perú. This entry was posted in Uncategorized and tagged environment, oil, peru, PetroPeru on September 2, 2014 by Steven Bodzin. Venezuela and Ecuador, especially, could learn from this. Peru fines Petroperú for spilling oil. Real fines, too — max fine could be over US$50 million. The Environmental Evaluation and Investigation Organization (OEFA) says it has started an administrative sanction proceeding against Petroperú for the 30 June 2014 oil spill in Segment I of the Oleoducto Norperuano, near where it crosses the Cuninico river, in the Urarinas district, province and region of Loreto. It says the possible infractions that took place include spilling oil, which can be fined as much as 10,000 tax units, or about 38 million soles ($13.5 million). The state oil company also may have failed to comply with its environmental management instrument, first by failing to maintain the pipeline, which can be fined as much as 57 million soles ($20.3 million) and second by not having detected and controlled the leak promptly, which can also be fined as much as 57 million soles. No wonder the government wants to strip the OEFA of its power. This entry was posted in Uncategorized and tagged environment, oil, peru on August 7, 2014 by Steven Bodzin. Anyone in favour of Peru giving away the store to Doe Run? San Francisco, EEUU – Mientras que el Congreso peruano se encuentra considerando una norma para otorgar a la empresa Doe Run Perú (DRP) una extensión del plazo para el cumplimiento de las obligaciones del Plan de Adecuación y Manejo Ambiental (PAMA) por tercera vez, DRP usa tácticas legales cuestionables para presionar al Perú. El gobierno peruano no debe permitir la reapertura del complejo metalúrgico de La Oroya sin que la empresa cumpla de antemano sus obligaciones ambientales, se pronunciaron el martes las organizaciones internacionales Earthjustice y la Asociación Interamericana para la Defensa del Ambiente. This entry was posted in Uncategorized and tagged doe run, environment, mining, peru, PR on April 3, 2012 by Steven Bodzin.